Al Fox and the Alliance for Responsible Cuba Policy (a 501-c-3 nonprofit organization) need our help! 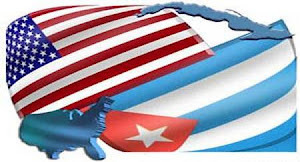 In 2000, Al founded the Alliance for Responsible Cuba Policy Foundation. Ever since then, the Treasury Department’s Office of Foreign Assets Control (OFAC) has been "investigating" Al and the Alliance, and now they’re taking things to the next level. But what exactly did they do? According to OFAC, Al and the Alliance should be fined $100,000 because of two trips to Cuba in 2010 and 2011. Each trip lasted three days, and each helped build bonds of goodwill between the U.S. and Cuba – the first one started dialogue between the U.S. and Cuban oil drillers, the second one put civic leaders from Tampa, FL in touch with counterparts in Cuba. (The first trip actually helped bring about an unprecedented joint accord between the U.S. and Cuba to protect the Gulf of Mexico from environmental disasters.) Al didn’t make any money from either of these trips. He just wanted positive, humanitarian ties between our two countries. But OFAC says Al provided “unlicensed travel services” by helping to organize people to go on these trips. We’re fighting that on the legal front – which is why you’re getting this letter – and the specifics are complicated. But in a nutshell, OFAC is selectively relying on disputed technicalities. So what did Al as head of the Alliance really do? Fifteen years ago Al realized what President Obama made official just last year: U.S. policy toward Cuba had to change. So Al moved back to his hometown of Tampa after 40 distinguished years in Washington, D.C. and got to work making a difference. As head of the Alliance, he lobbied for a different attitude in Tampa than the destructive one that held sway in Miami. He even ran for Congress on a message of U.S.-Cuba reconciliation. And along the way he made plenty of enemies among those who are against U.S. Cuba normalization. Now that so much of what Al has worked for is coming to pass, they seem to want payback. This is OFAC’s first such prosecution for Cuba travel since 2007. During that time, hundreds of thousands of Americans have traveled to Cuba, spent money in Cuba, and done business in Cuba and OFAC has not similarly prosecuted them. But it seems that the rules are different for Al because he did the one thing that anti-Cuba crowd can’t stand: he challenged the status quo. Al and the Alliance now face the unlimited resources of the federal government as OFAC pursues its selective prosecution. It’s a David and Goliath contest, and without your help they could be in real trouble. Please contribute to the legal defense fund so that Al and the Alliance's legal team will have the resources they need to win!